The most important aspects of biohazard and trauma cleanup are fast response time, experience and compassion. Our expert technicians at ServiceMaster Restoration by David R. Dean & Associates provide sensitive, prompt and professional clean-up of both biologically and chemically contaminated scenes. At ServiceMaster Restoration by David R. Dean & Associates, we take special care to remove, dispose, and restore all of the contaminated content and materials. 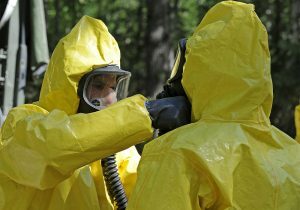 We always follow standard procedures that involve using protective equipment and the correct techniques for proper disposal. For fast and compassionate biohazard and trauma cleanup, trust ServiceMaster Restoration by David R. Dean & Associates.